Triple Point Software, programmed by Gary Farmaner. 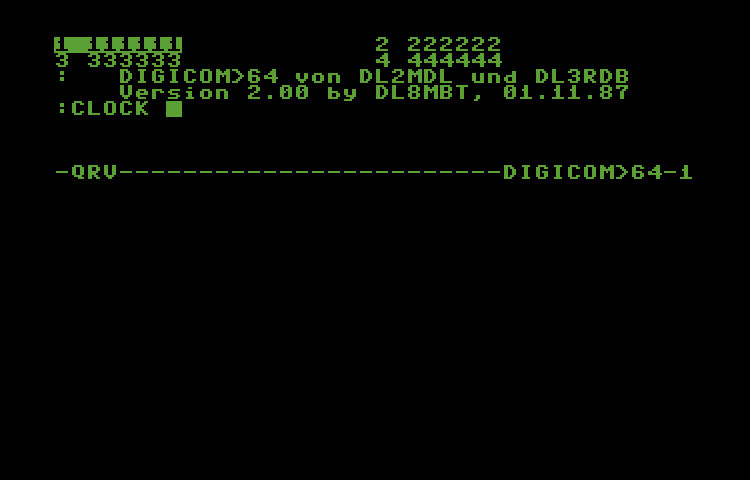 Dialogue 128 is quite an amazing terminal with support for the Swiftlink RS-232 cartridge, 1351 mouse, 1700 & 1750 RAM expanders, 40/80 column mode and much much more. Docs are on the disk. There are complete docs on the disk. If you use the "boot" file to start the program, make sure you have all fastloaders disabled. 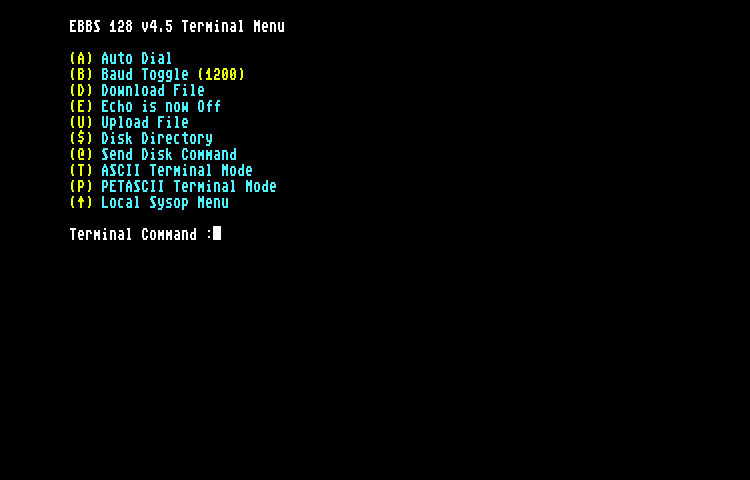 It's amazing they made four versions of this UGLY terminal program. Anyway, the docs are on the disk. 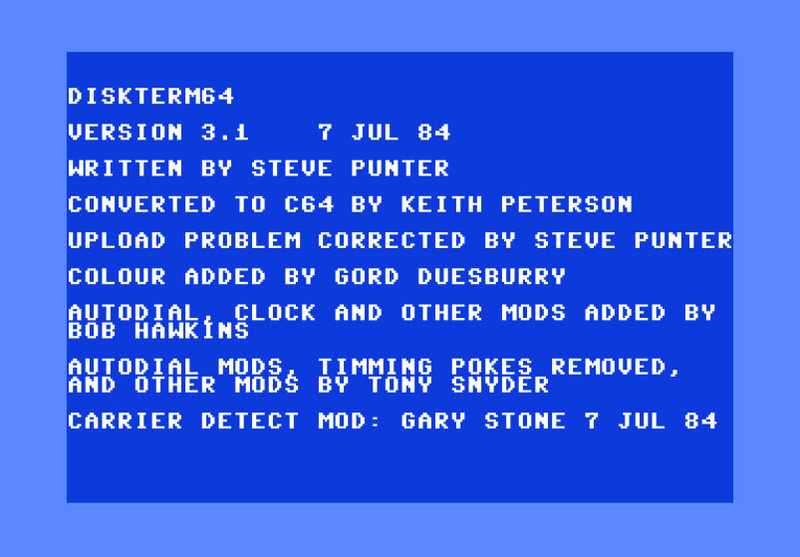 DiskTerm 64 v3.1 was created by Steve Punter and converted to the Commodore 64 by Keith Peterson. 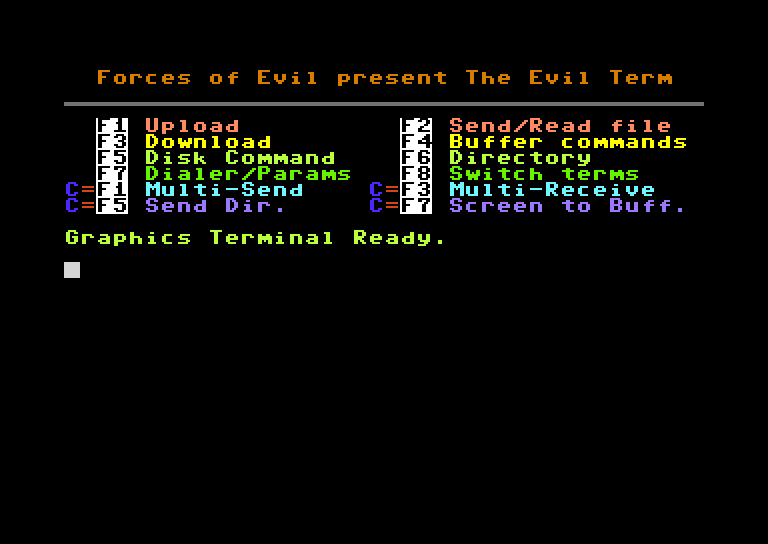 Simple little terminal program with Punter file transfer capabilities. Release on June 22nd, 1984. 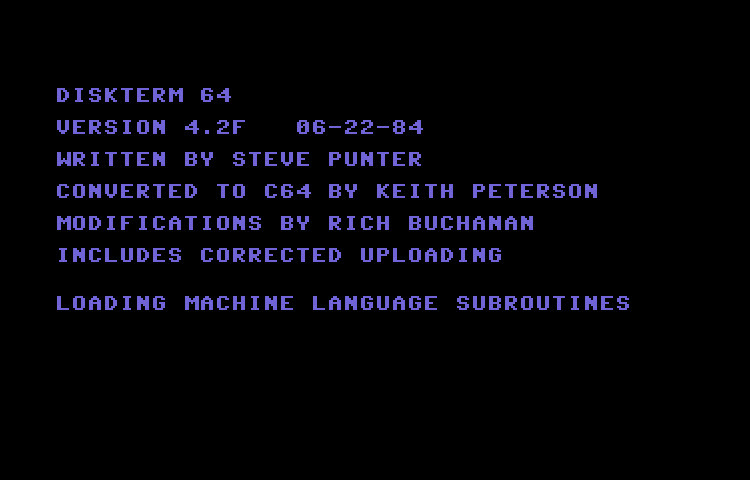 Written by Steve Punter, Converted to C64 by Keith Peterson, Modified by Rich Buchanan. This version includes corrected uploading. 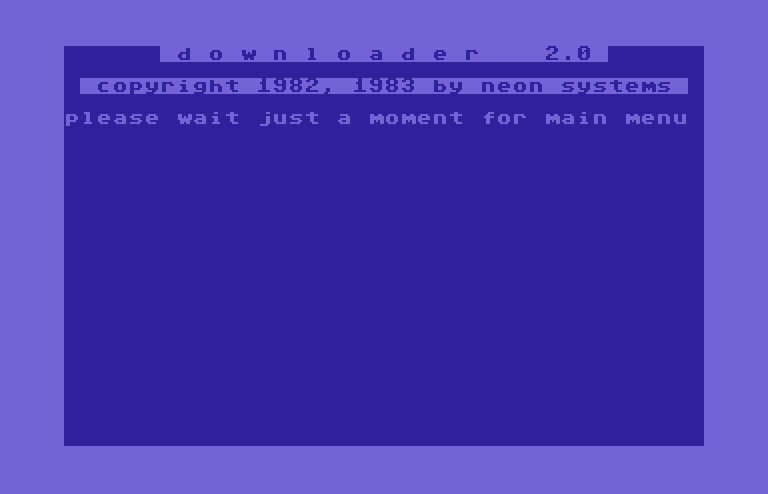 Downloader 2.0 is a super simple BASIC terminal program of some type, written in 1982,83 by Neon systems. By Allan Teo, Mitch Solomon and Don Holtz. 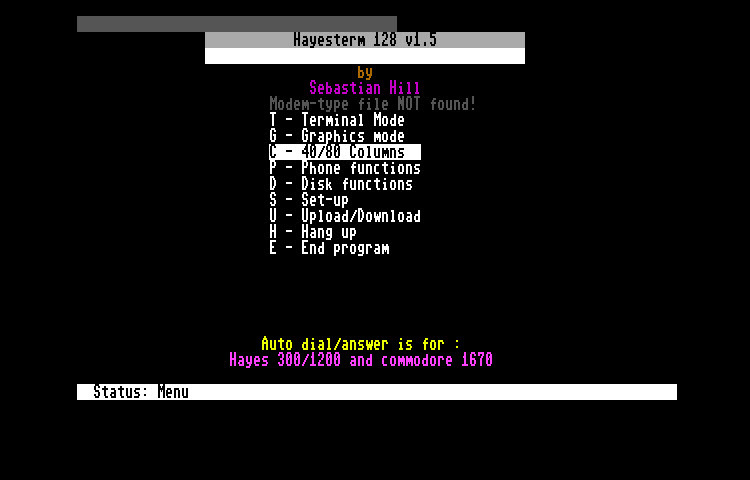 This early version only supports 1200 baud, but does have multi-transfers and some disk utilities. 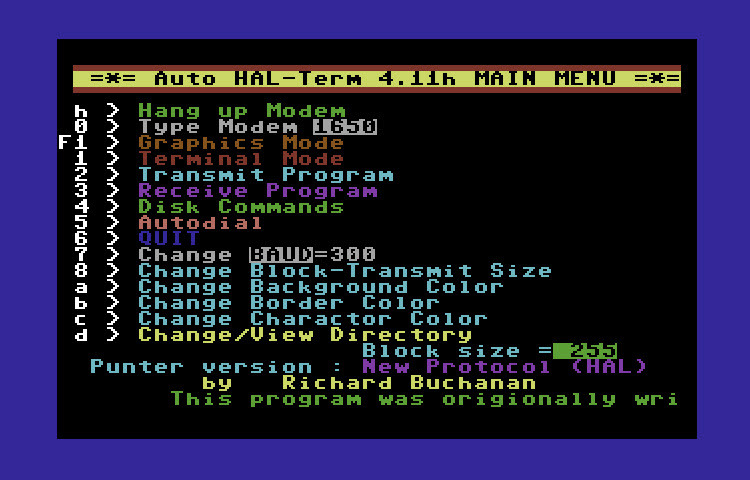 By Allan Teo & Mitch Solomon - This term supports up to 2400 baud. This is the stand alone terminal module for EBBS 128 v4.4. 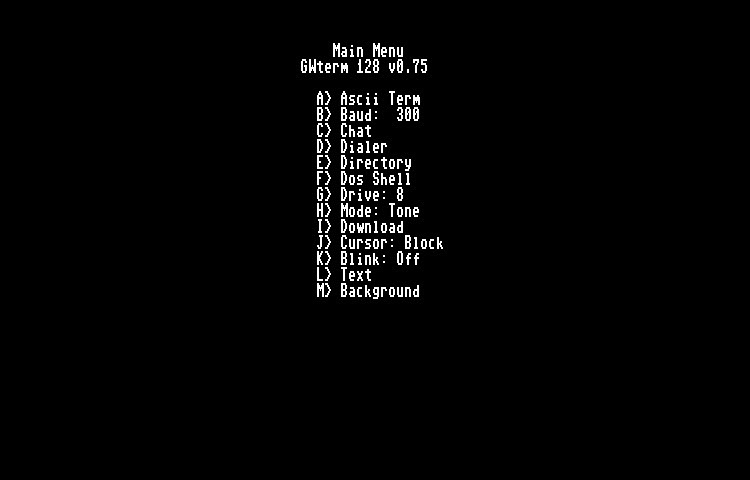 Menu driven with support for Punter transfers. Notes on disk. By James Kelley aka Dr. Edge. Release on May 31st, 1991. 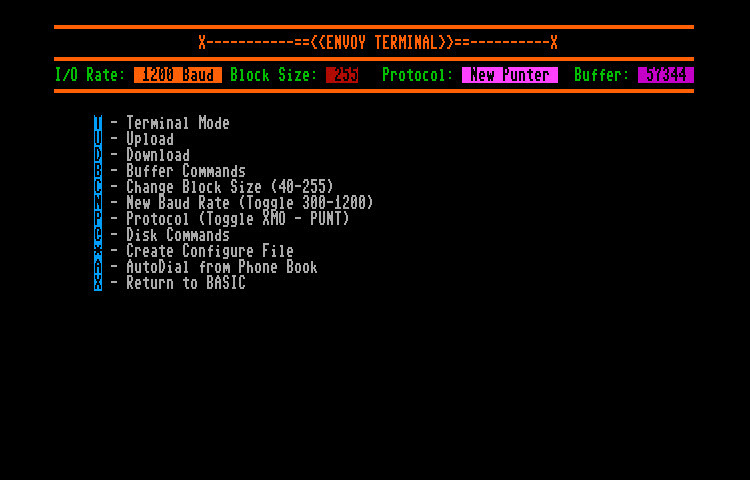 Really nice looking 300-2400 baud c/g terminal program. Only a 8k buffer. By HP-Software, 1990. Written by Jeff Brown and Shawn Ort. Nice simple term with all the features you'd expect. 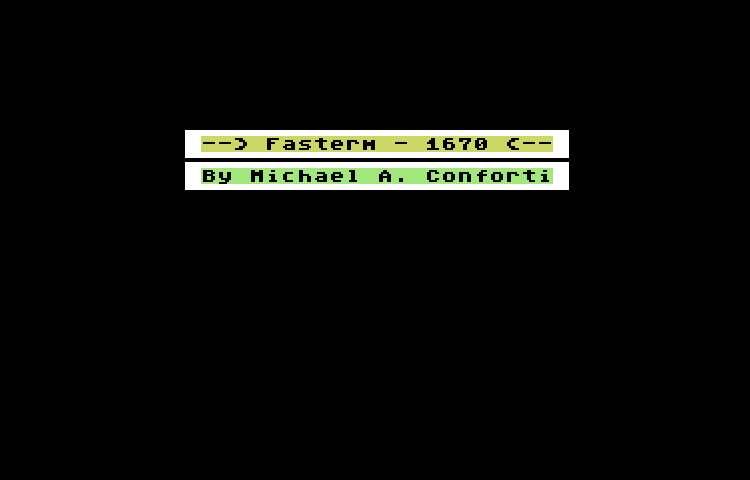 A Downtown Macland Presentation - Envoy Terminal is a nice 80 column term for the Commodore 128. It supports buffer operations and punter transfers. 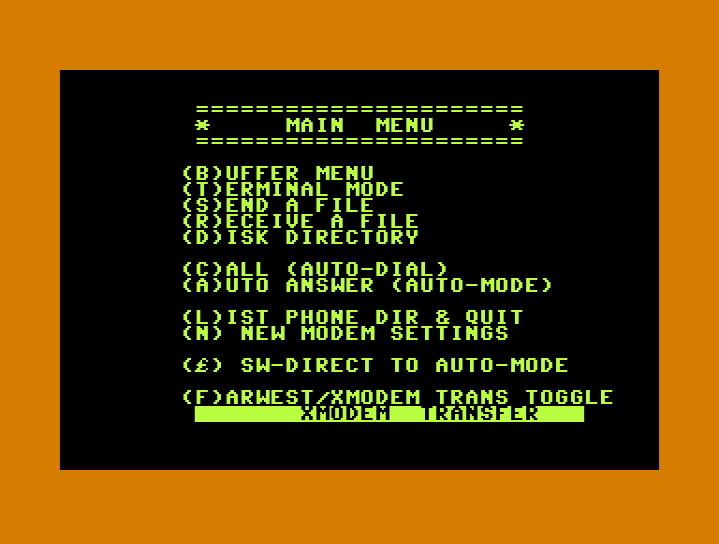 Farxmoterm v2.2 w/xmodem written by Joe Bizik. By Michael A. Conforti. I think this program tries to detect a 1670 before getting to the menu because it just hangs, but everything seems like it's there. 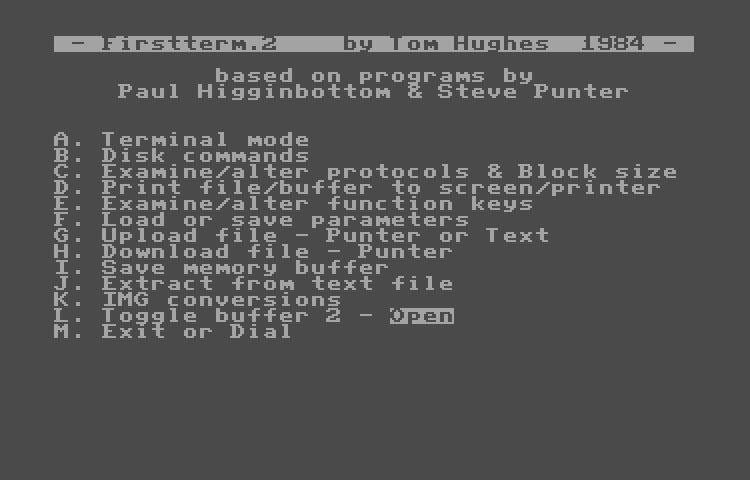 This appears to be a hack or possibly a partial upgrade because all the files for the program reference First Term 3 but once loaded the main menu calls it Firstterm.2. By Tom Hughes, 1984. This appears to be a more polished and finished version of First Term v3.0. By Star Dust. 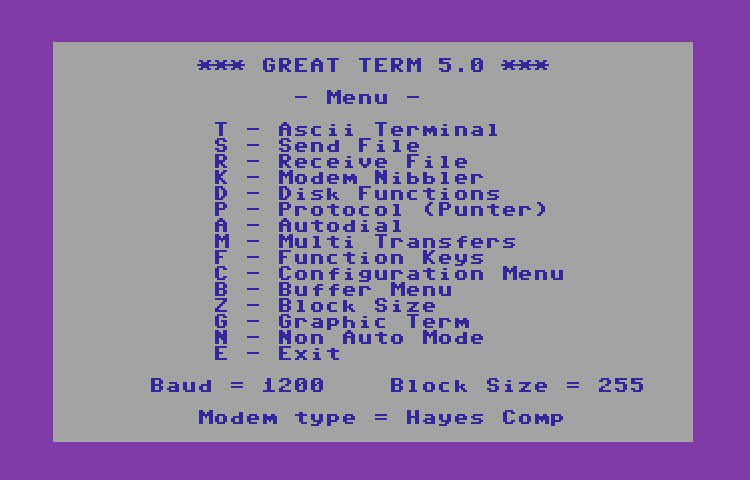 Unique term program in that I haven't ever seen a copy of it before. It is a standard 300-1200 baud C/G term with printer support. Interesting thing (to me anyway) is that it's isepic'd but I can't tell what commercial program it is based on. Why else would you use Isepic? By Fritz Oppliger. This is a really neat program. 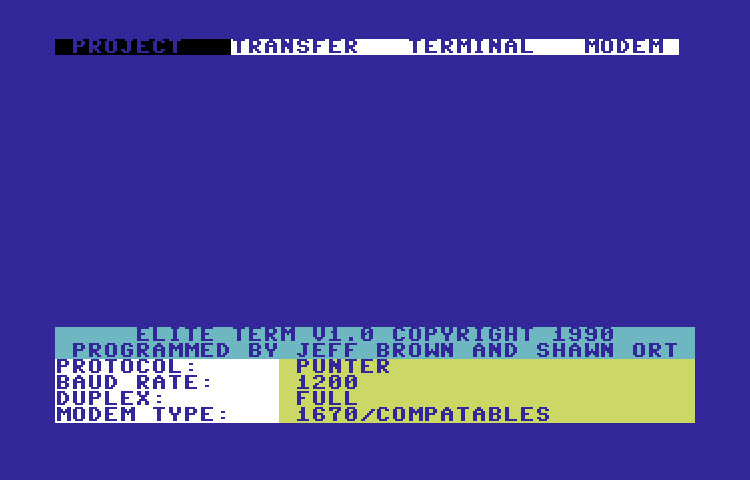 It has a 44k buffer on a stock c64 and even supports Ram expansion. 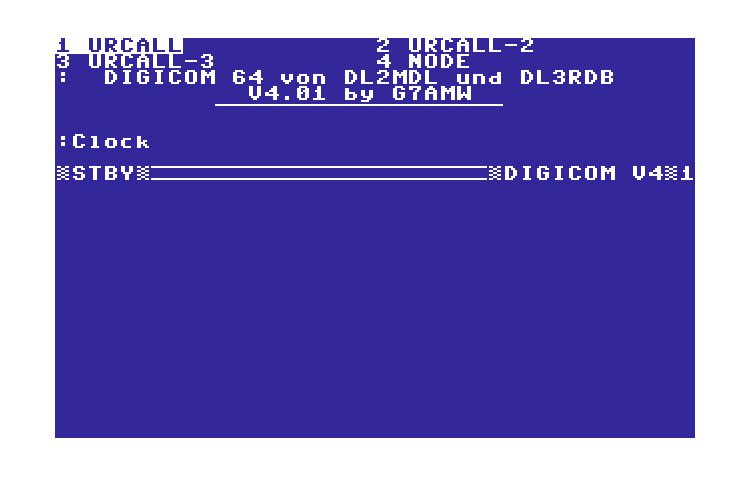 Also supports the Swiftlink-232 and the BI-80 column display adapter! Very cool. I found this version of Fritzterm on a disk image I got from Megalextoria. It appears to be an older version than the others posted here. Includes docs on disk. 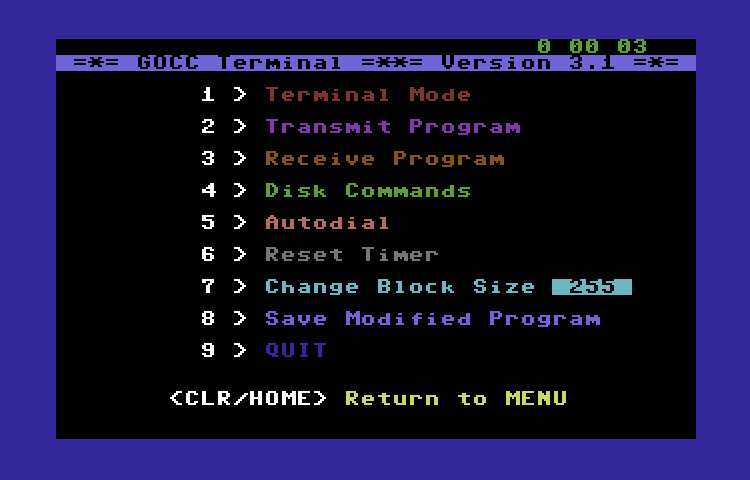 I wouldn't normally put a GEOS program in this section, but because this terminal support C/G mode and has full docs on the disk I decided to make an exception. By Michael Hooper from Graffix Connextion. 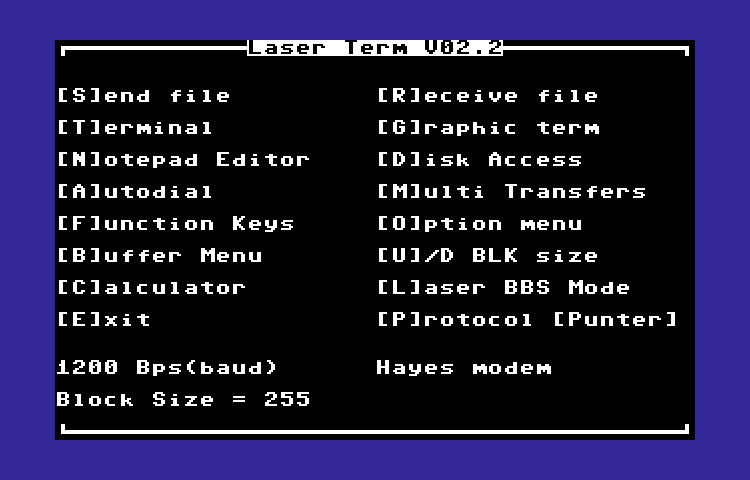 Older term that only support 300 baud with buffers and xmodem transfers. Written by Tony Davis 12/24/1984. This term is based on the work of many other people. See the REM statements at the beggining of the BASIC portion of the program for credits. Released in 1987 by Nickolai Smith. Decent C/G term with built-in modem nibbler. Buffer functionality and Punter protocol. 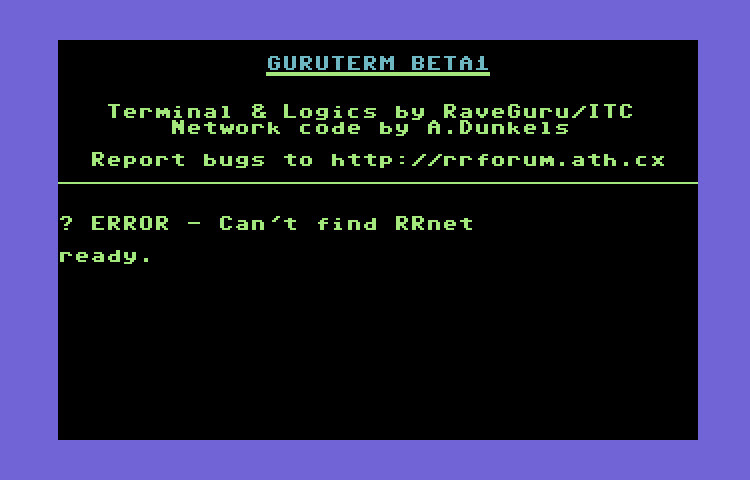 Really neat terminal program that will use an RR-net or compatible ethernet adapter to call telnet capable BBSes. 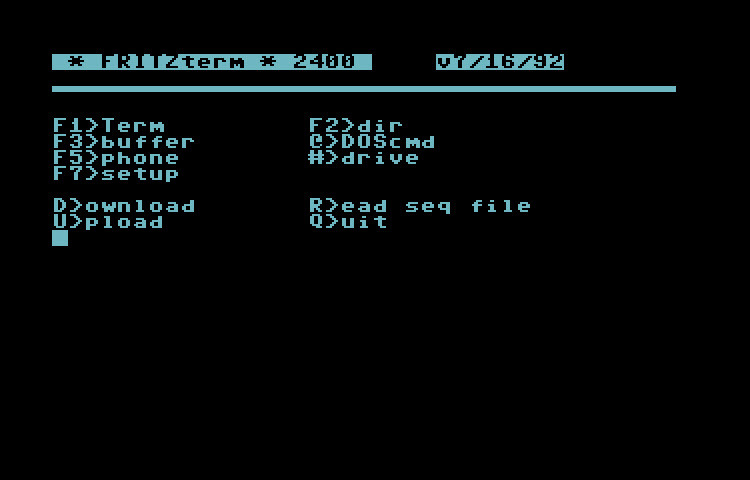 Although the terminal supports C/G, it doesn't support uploads or downloads. Bad Company Software proudly presents Global War Term by Sean Peck. 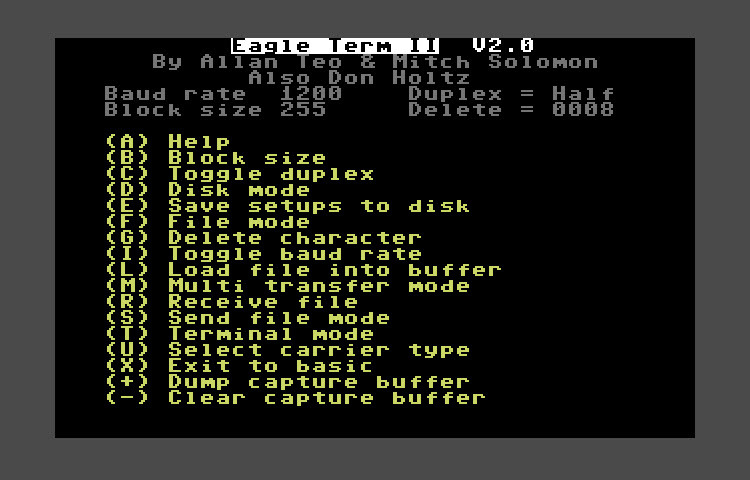 Features: 80 column, 2400 baud support, 47k buffer, ANSI capable. Bad Company Software proudly presents Global War Term by Sean Peck. 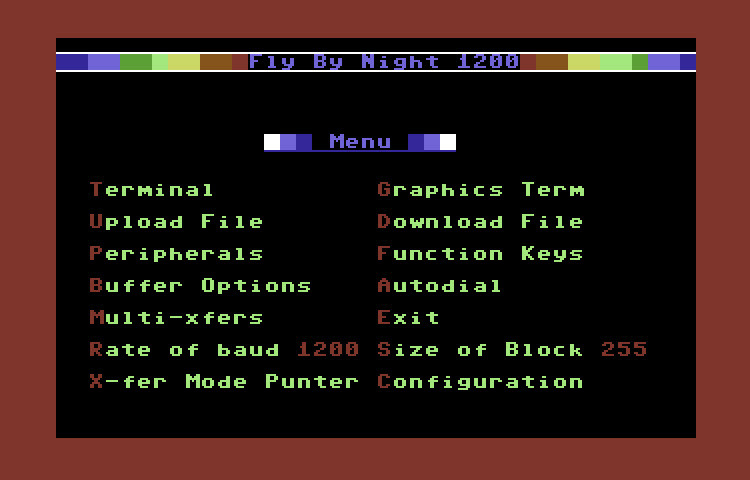 Features: 80 column, 2400 baud support, 47k buffer, ANSI capable. Docs are on the disk. Originally based on Hal Term v4.2 by Richard Buchanan, modified Mike Jasso, 1987. 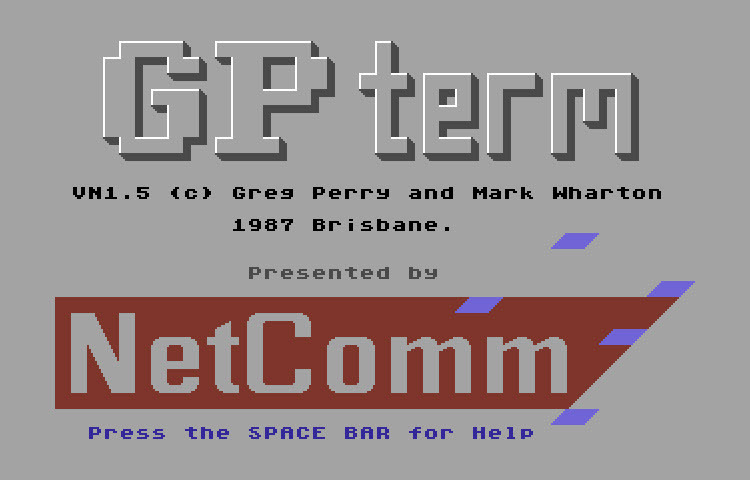 This term was designed for Hal and Punter capable BBSes. Released by Green Valley Publishing. 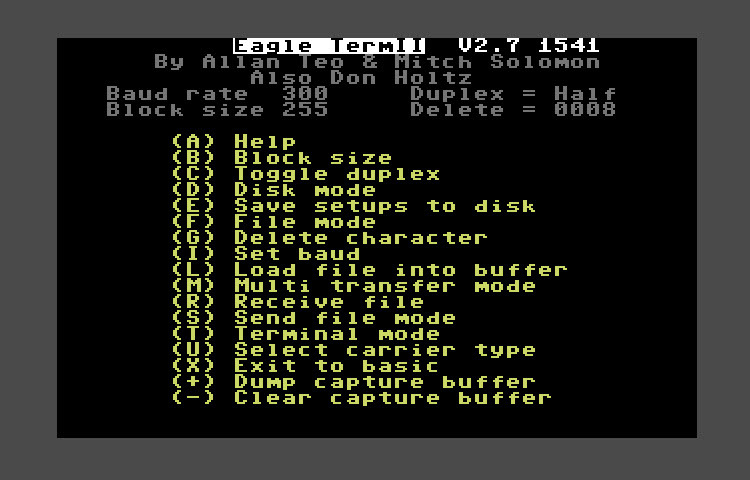 This is a complete terminal package with disk, buffer and transfer operations. Docs file is on disk. Cool little terminal program by Green Valley Publishing. By Sebastian Hill. 40/80 column with C/G Mode. 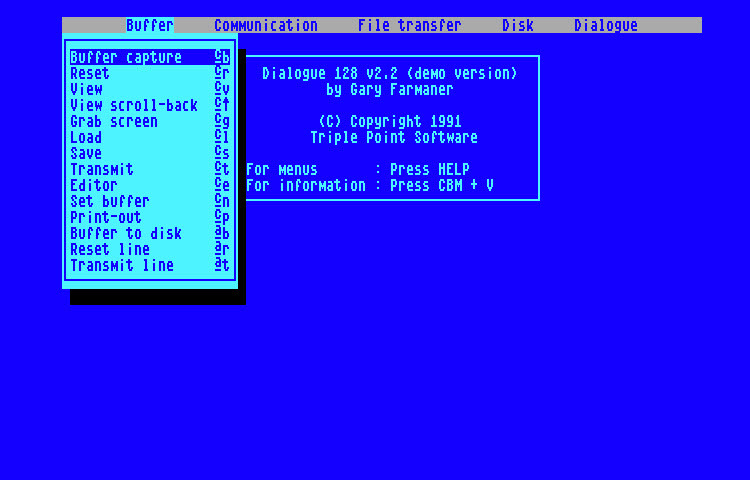 300-1200 Baud support. Written by Sebastian Hill. 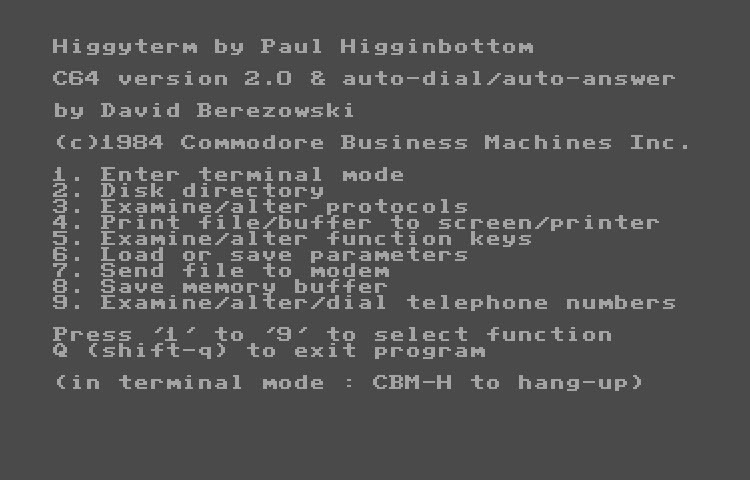 40/80 Column C/G mode, 1200 baud, xmodem & punter support. By Paul Higginbottom 1984. This program looks amazingly like First Term 3. Designer/Programmer - Craig Plesco, Original Concept - Steve Thompson. 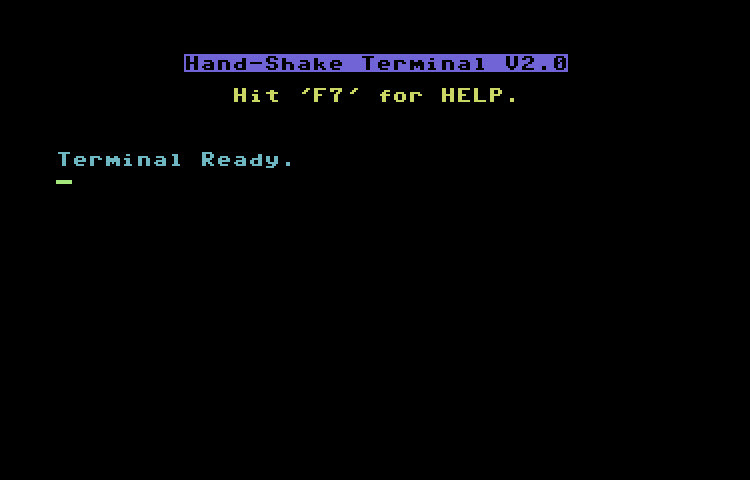 Neat terminal program with a built-in BBS mode. Really like the into!